The Professional and Amateur Sports Protection Act is a federal ban on sports betting passed back in 1992. The law affects 46 states with only Oregon, Montana, Delaware and Nevada being exempted. At the time of its passing, the federal government was attempting to stop the widespread growth of legalized sports betting. States had a one-year grace period to enact some sort of legal and regulated sports betting market, but none made any efforts towards that end. The law effectively bans states from having any sort of state-sponsored sports betting. This means the 46 states affected by PASPA can’t operate any licensed brick-and-mortar sportsbooks or run any type of sports betting through the state Lottery. This page will explain the reach of the law’s application, what it means for the US sports gambling market, and how it affects USA bettors. Does PASPA Affect Online Betting? Technically, PASPA applies to state-sponsored sports betting, and addresses the regulation of sports betting businesses in the states through brick and mortar destinations. The law does not address online sports betting, and it doesn’t really need to. The Federal Wire Act has been in place long before PASPA, and effectively prohibits the operation of US based online sportsbooks. That being said, PASPA does not have any relevance to online sports betting entertainment. PASPA neither allows nor prohibits online sports betting. The law has always been considered controversial, however has not been formally challenged until recently. This has emboldened multiple states to become more vocal about the ‘unconstitutionality’ of the law. Many see Trump’s presidency as the presence of a pro-gambling administration in the White House, which has led to speculation that PASPA could be overturned or dramatically modified. In fact, several states have passed legislation permitting state based sports gambling in anticipation of such changes to PASPA. This question is complex, but there seems to be enough positive momentum that points towards at least a “maybe”. The ban has been in effect for decades, and any sign of opposition has been quickly smothered by the major American sports leagues – the NFL, NBA, NHL, MLB and NCAA. New Jersey has been the driving force behind the anti-PASPA effort and is locked in a battle with the federal government. The New Jersey sports betting saga has been going on since 2014. The state ambitiously passed a law that would allow for sports betting in their casinos. The law was even passed by a voter referendum, which shows how NJ residents were ready to usher in the era of legal sports betting. 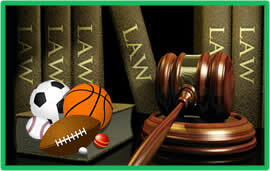 Before the law could take full effect, a case was filed against the state with the plaintiffs being the NFL, NBA, NHL, MLB and NCAA. New Jersey lost the initial hearing on the grounds that their proposed law was in direct violation of PASPA. New Jersey didn’t give up there and moved to file a series of appeals. After losing in several federal courts, the state left its fate up to the Supreme Court. The Supreme Court has asked for the Solicitor General to weigh in on the matter. In early 2017, representatives from both sides met with the Solicitor General to discuss the case. The Solicitor General is expected to file a brief that will determine if the Supreme Court wants to hear the case. There isn’t expected to be any significant action with this case until 2018, but if the Supreme Court does hear the case and rules in favor of New Jersey, other states may soon follow suit in legalizing sports betting. New Jersey’s main argument is that PASPA is a violation of the Constitution under Amendment 4. NJ legislators believe that the decision to have legal sports betting should be left with the state as opposed to the federal government. Amendment 4 states that basically anything not covered in the Constitution should be left up to the states to decide, and since sports betting isn’t mentioned in the Constitution, New Jersey stands firm behind their reasoning. Other states have filed legislation that would legalize sports betting in anticipation of an outcome where New Jersey wins, but sports betting in the United States will remain stagnant until this case is resolved. There are several key figures in the ongoing debate about legal sports betting that will have pivotal roles in what is to come. The first of which is new Supreme Court Justice Neil Gorsuch. Gorsuch is a Republican, but more importantly a renowned Constitutionalist and therefore a proponent of states’ rights. Parties in favor of legal sports betting see his appointment as a step in the right direction for sports betting. If you look at New Jersey’s citing of Amendment 4 in their case you can see why. Gorsuch has the power to circumvent the whole ordeal by officially ruling on the matter, but seeing as he just took office, it will take time for something to happen. Gorsuch puts the Constitution before his own personal views, which could play a huge part in the legalization of sports betting. The other key figures are the major American sports league commissioners. These leagues have long been opposed to sports betting, but several things have transpired that seem to resonate a change of heart among them. For starters, Daily Fantasy Sports (an alternative form of sports betting) has blown up and has been legalized and regulated in several states. More importantly, big DFS providers DraftKings and FanDuel hold sponsorships with professional teams. Another interesting element is the introduction of an NFL and NHL franchise in Las Vegas, the sports betting capital of America. While the NFL has been one of the harshest opponents towards sports betting (second to the NCAA), their launch of a Las Vegas franchise puts them in a tight spot when trying to oppose sports betting. The NBA and MLB have both come out in support of legalizing sports betting. If the major leagues can come together and figure out how they want sports betting run, respectively, the New Jersey case may fall apart seeing as they are the plaintiffs. 2018 will likely be a monumental year for sports gambling in the US. Between President Trump’s Inauguration, the swearing in of people like Gorsuch and the major sports leagues warming up to the idea of sports betting, PASPA may be nearing its end. If a repeal of this law is in the cards for the United States, several U.S. states stand at the ready to implement legislation that is already passed allowing them to launch and state licensed sports gambling initiative.